Saint Paul wrote two letters to the church at Corinth in ancient Greece. According to Paul “time was running out.” God was here and now and we who believe must reconsider how we think about our faith. Let nothing take precedent over our preparation for the kingdom of God. Paul describes two forms of time: chronos, the linear day-by-day moments by which we eke out the banality of human existence, and kairos, the vertical time by which God determines the rising and setting of the sun and the waxing and waning of the moon, the celestial clock that ticks away until the Son of Man returns. Our imprecise contemporary translation of the word ‘gospel’ is “the good news.” Gospel describes the oral and written accounts of Christ’s words and actions during his life, death, and resurrection. “Turn away from sin and be faithful to the gospel.” The Apostles and disciples listened carefully and accepted his call. When the first generations of Christians died the need arose to write the gospel for posterity. These written accounts are the heart of the Christian scriptures. The coming of the Messiah into the world at the precise time in history designated by God is gospel. In the Gospel According to Mark, Jesus comes on the scene, newly baptized, a man with a message too urgent to be ignored. “Now is the time of fulfillment. The kingdom of God is at hand. Repent and believe in the gospel” (1:15). 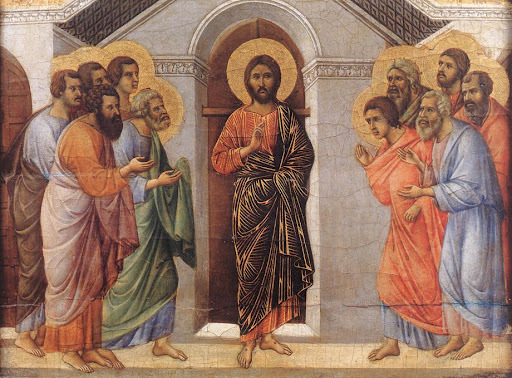 Jesus chose Paul, who was different from the other apostles. Jesus’s invitation to Paul was much more personal. The conversion of Saint Paul—celebrated today, on the 25th of January—is one of the most famous stories in the New Testament. The change of heart and soul in Paul while he was on his way to Damascus to kill Christians is one of the most powerful miracles in the history of the early Church. The gospel is not all rosaries and incense. When Paul decided to accept Christ’s call to become a Christian his life got harder, but he obtained the assistance of the Lord to put the “things of this world,” which are “passing away” into perspective. God has been with us since before the harnessing of fire and the invention of the wheel. The customary demands of life are not to be scorned. Babies will be born. Husbands and wives must love one another. Bills need to be paid and gas is under two dollars a gallon. According to God’s plan in kairos, the passing reality of earth will always yield to the eternity of heaven. To repent means to rethink how we accept or reject the gospel. To believe means to be willing to change, to meet the demands of the Lord who calls everyone to think again about how we live our lives relative to the grace we receive from God. Now is the time to make up our minds about whether we wish to receive or to reject the gospel. Time is passing away. Time is now.